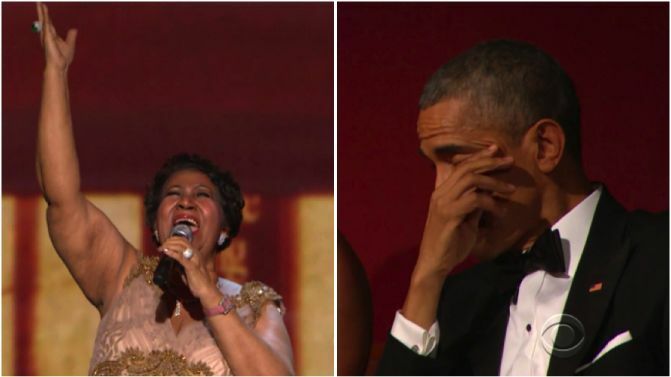 The original diva and Queen Of Soul, Aretha Franklin, appears to have brought US President Barack Obama to tears (and then to his feet) with a stellar performance of (You Make Me Feel Like) A Natural Woman at the 2015 Kennedy Center Honors’ tribute to Carole King in Washington D.C..
Footage of Franklin’s performance (below) has emerged online after the ceremony earlier this month, and shows President Obama appearing to wipe away a tear just minutes before Franklin receives a standing ovation for her rousing performance. Before you catch Franklin work her magic in full below, maybe check that there are tissues nearby. 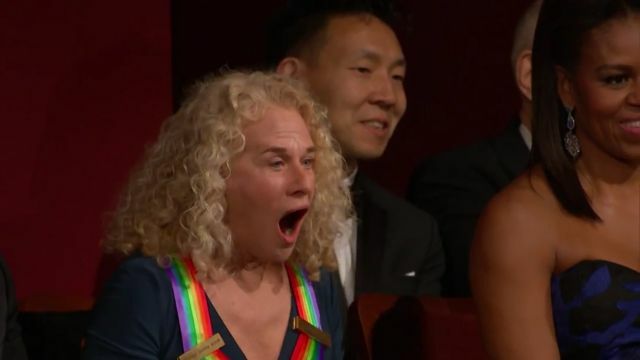 Until next time, Aretha out.